Money challenges are fun. That’s why we are sharing the 52-Week Money Saving Goal Chart with you, and end up with an extra $1,378 without hardly thinking about it. It takes the idea behind bite-sized steps to create an amazing whole result, and pushes you just a little more, to achieve something a little better than before. This 52-Week Money Saving Goal Chart is no different. In fact, with bite-sized steps, you will end up with an extra $1,378 in savings after 1 year. You will save a little each week, amounts that seem insignificant in the beginning, and you will end up with a mighty fine money treasure in the end! Since 2018 is right around the corner, it’s traditionally been a good time to make some new goals and implement those goals. This 52-Week Money Saving Goal Chart is an easy one, that can often coincide with other money and financial goals for the year. So as we welcome 2018, we encourage you to welcome this fun little challenge. It’s a great time to make some new goals, starts and challenges for yourself and your family. Even if you are reading this in the middle of the year, there is no wrong time to start. There is no reason to not start today! A few years ago, we introduced this 52-week money saving goal chart to easily build $1,378 in your savings account on top of your other goals. In fact, last year we added to this with the addition of one simple brainless trick and ended up with $2,000. Believe it or not, we were able to take an amazing family vacation to theme parks for a week with this saved amount and a few other tricks. Since the introduction of this 52-Week Money Saving Goal Chart, thousands of our readers have created and enjoyed this extra amount. It has been a VERY successful plan for so many. So sticking with our tradition, we want to share it again this year. The 52-Week Money Saving Goal Chart gets better year after year! What is even better is that when we mention this idea again at the beginning of each new year, we have many more ideas to contribute to the next article on this subject to help you find even more success year-after-year. We are also going to add some additional thoughts on this plan below for those that feel like this is too challenging, or for those that are trying to get out of debt. What is the 52-Week Money Saving Goal Chart? It’s a very simple concept! Basically, you save $1 for each week of the year that it is. and so on……. by the end of the year and all 52 weeks, you will have accumulated $1,378 towards whatever additional savings goal you have. We would recommend trying to find ways to include this as an addition to your current savings plans and goals. How awesome would it be to save up this extra amount? Imagine what could you do with it?!? 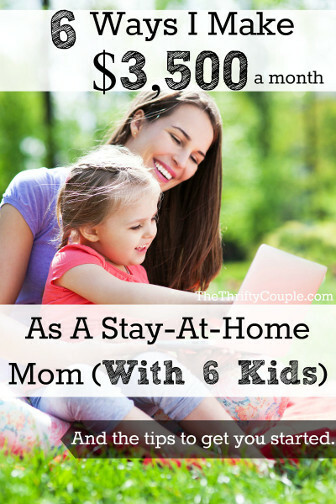 Use the ideas on our site to find this extra amount in your budget. Perhaps buy one less thing at the grocery store for the first several weeks (since the amount is quite low!) and as the year goes on, find additional ways to find the extra money in your budget or from an extra small job per week from our “Over 100 Ways and Counting To Make Extra Income” list of ideas HERE. 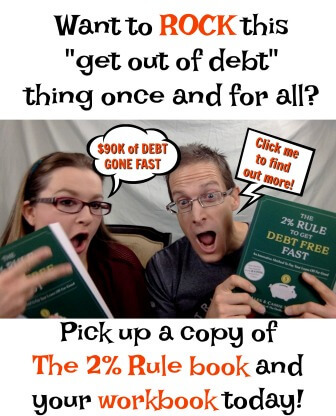 You can also take concepts that we share in our 2% Rule To Get Debt Free Fast Book and just add an extra 2.1% or so to make up the savings difference. 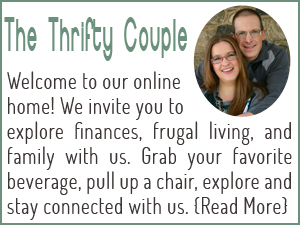 Although we already have a savings plan in place, we still do this in addition as “fun money” after 1-year. In fact, we use the percentage based finances mentioned in this book, which also means we have 12 savings accounts. So yes, this is just one extra. But it NEVER hurts to save more. If we can tuck away any additional small amounts to anything we are currently doing, it much better than tucking it in your wallet and spending it unnecessarily. For most, the weekly savings goals are attainable money saving goals. However, we understand that hard times come. There are two main ways you can do this: accumulate the cash in a jar, or transfer the funds to a savings account from your checking account. The first year we did this, we made money jars to save. It was a visual reminder of our goal, sitting on our bookcase. Request your 52-Week Money Saving Goal Chart weekly checklist (see above). At this point, you can either glue it to the outside of the jar, or you can laminate it and use a rubber band to attach it to the jar! Make a fancy one if you want and just cover the top lid with a fabric scrap with a slot cut in the top to put the money in. That’s one way to keep it at the forefront of your mind! The second idea is to transfer it from your checking into your savings. This way it is safe, not easily accessible, allowed to grow, etc. It’s not as easy to accidentally spend mindlessly. But even better is if you can set up a high-yield savings account. Yes, it won’t grow at a rapid rate, however just setting this step up gets you one step closer to even bigger things. What if you did allow this to continue to grow and build interest at a high-yield rate of interest and you were earning interest at 1.16%? It’s a good savings start! No matter what, just pick a way to start and start this week! After sharing this plan with you for many years now, over the years, many of you have shared ways to modify this plan so that you still end up with that same result, but you are not having put in nearly $50 a week during Christmas season. We get that saving that much during the Christmas season could be a challenge.That’s why we previously posted about 7 Modifications to the Yearly Saving Plan because we to encourage you to eliminate excuses. Check out the 7 Modifications to the Yearly Saving Plan HERE. For us, we are going to save this money in a high-yeild savings account that gives us 1.16% interest. Our two teen daughters also want to do this plan. One of them has become highly interested in investing. So it sounds like she is going to save and every few months, buy more stock with it. If you want to know what she, along with our other family members are doing for simple, low-risk, stock investing, check out our post on Stockpile HERE (plus you get a FREE $5 to invest any way you want, no fees attached). The other daughter wants to buy a car with cash, so she is doing this along with other things to help her get to that goal. Finally, in the end, if it still seems like it is an impossible feat, don’t give up! It is always better to do something than do nothing. If you do nothing, you will have nothing a year from now. If you try, you will have something. Many of you will reach that $1,378 goal by this time next year. Many of you could have saved even more, like we started doing a couple of years ago by that addition of adding our daily pocket change to the pot. However, many of you may only make it part way, may only save $300, $700, etc. That is AMAZING and it is more than you had saved when you had started. Any amount is a success. The point of this post is to not only give you a specific idea, but to ultimately encourage you to do something! Let’s have a great year and kick it off with this fun challenge! I can not thank you enough for the amazing, positive ideas you provide. I am going to forward this to both my daughters in hope that they will be able to learn how to start saving. I think I will start a challenge called “The Biggest Saver” to see which one of us can save the most money!!!!! Thank you and Happy New Year to you and your family. The 52-week challenge is a great idea. Many of my frugal friends are doing a “no-spend” January to get the year started off with a bang. We only buy must-have items for the entire month of January. We will see how this goes! Awesome idea and great way to boost the sales. Perhaps do this plan backwards if you are starting with a no-spend challenge. This is a great way to encourage savings. When broken down like this, it’s also quite painless. Thanks for sharing! 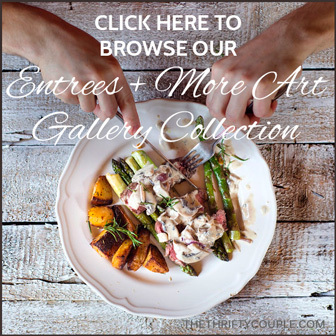 Love your website, too!